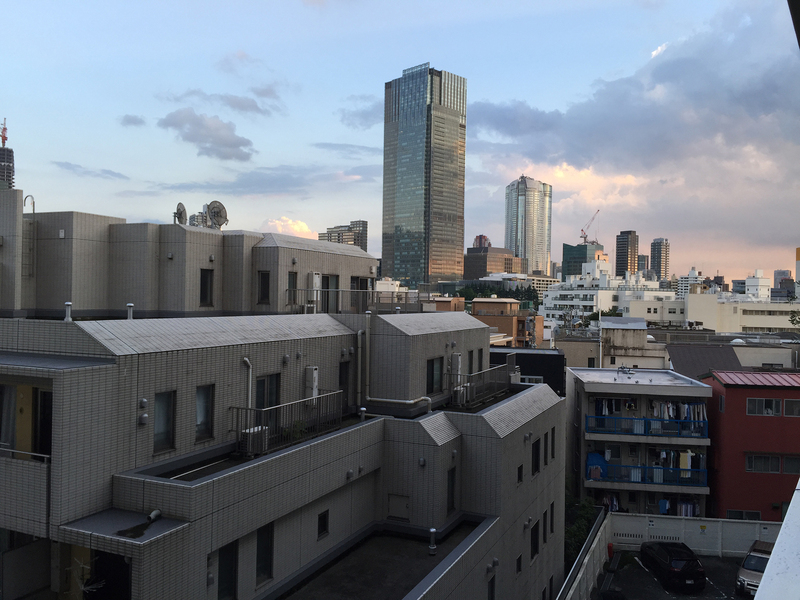 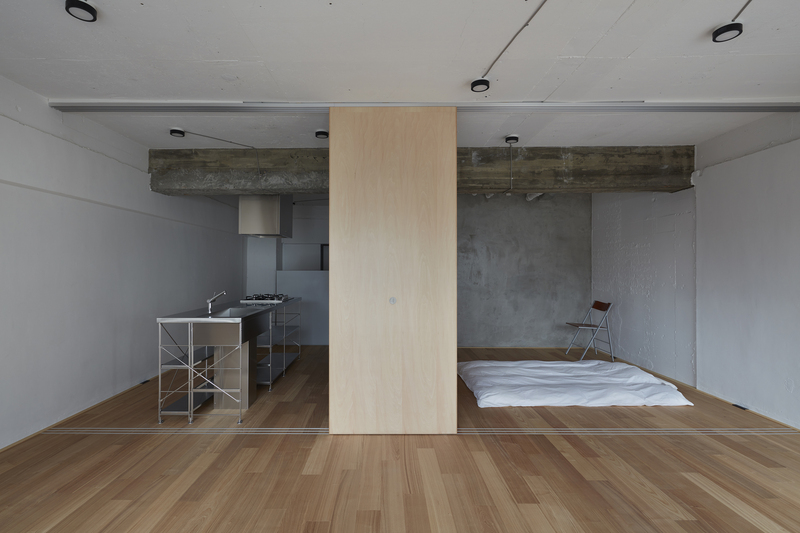 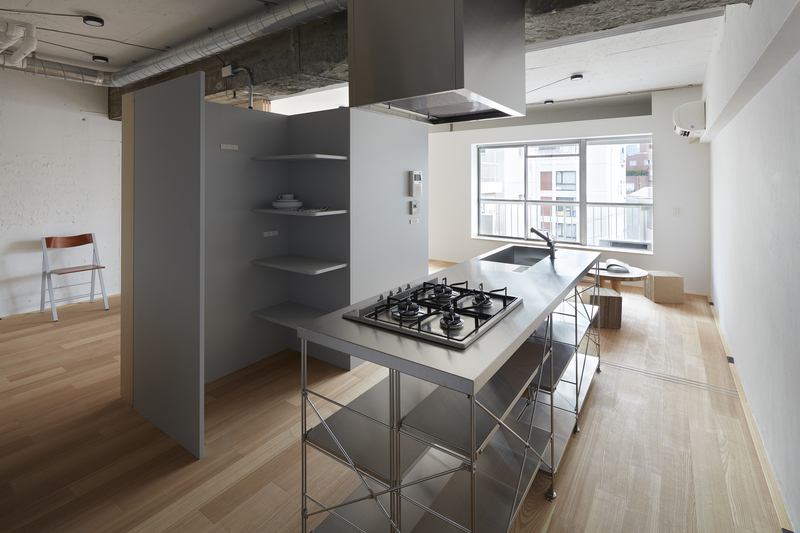 First built in the 1970's the apartment was cramped by contemporary standards, even for Tokyo, with low ceilings and short and narrow rooms. 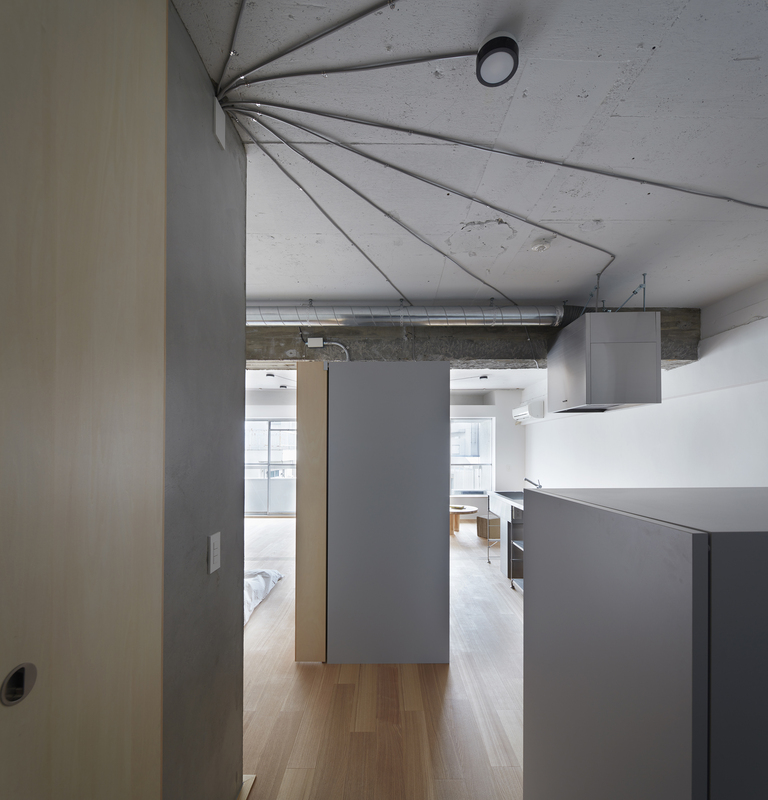 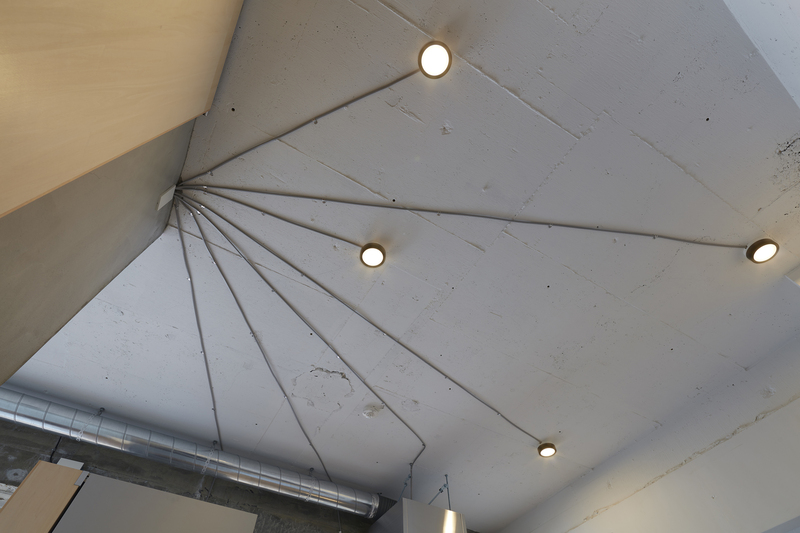 After stripping the space down to a single room, the design takes a hint from the overlapping spaces in the city and is composed from three simple shapes. 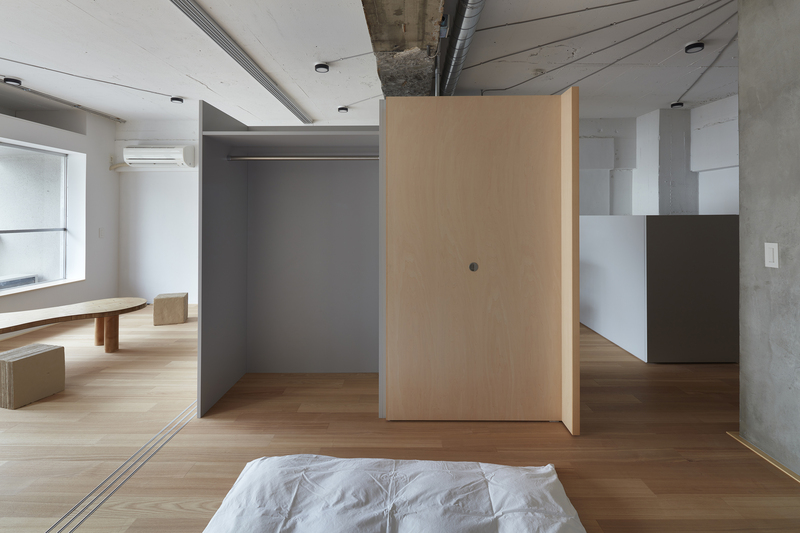 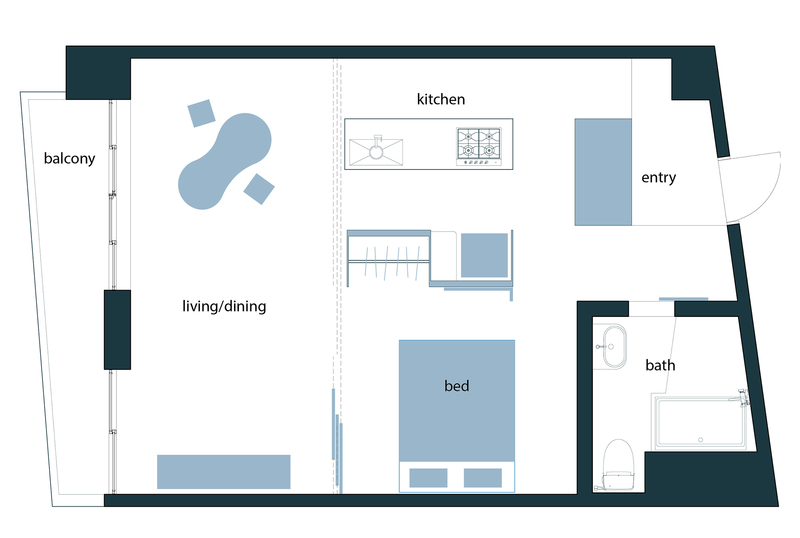 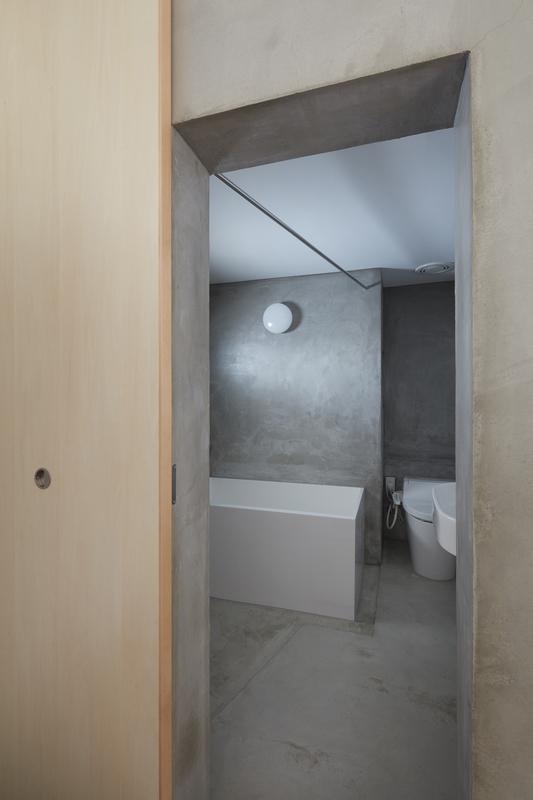 A grey wood box houses the laundry, a concrete box contains the bath and sink, while an S shaped partition forms a closet and space for the fridge. 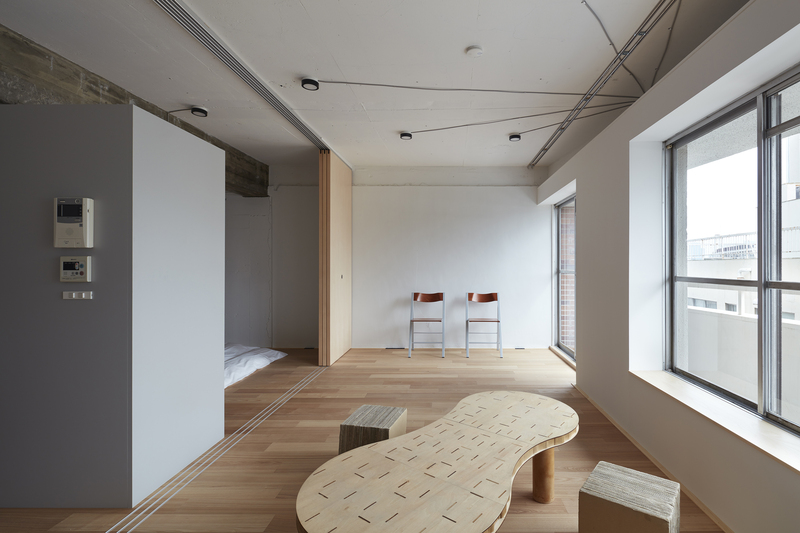 The updated space is simple but comfortable and connects to the city perfectly.